Greetings from the RHDJapan blogspot and team. 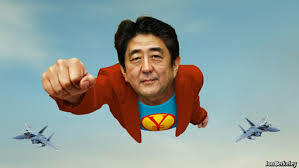 In case you have not heard the wonderful news about the continual plummet of the JPY against all the major currencies, we will give you a short update. Some currencies have bounced back to the pre Lehman shock rates or even better against the yen! This is a result of the policy called 'Abenomics' implemented by current Prime Minister for cheap yen! Nobody knows how long the rates will continue like this, all we know is that with these rates in conjunction with better shipping rates and options along with refined pricing and more tools RHDJapan is now offering the best possible combination of pricing and service that we ever have. Abe-san want you to have JDM parts! The TEIN Suspension campaign has been going strong and we have been able to include a new series to go along with the discounts!! Look for the 'Big Sale' button to find the coupon codes!